For most games, surpassing 10 million players is a significant milestone which isn’t easy to achieve. Apex Legends, however, has just hit that milestone less than three days after its release. After a highly successful launch, the new battle royale from the Titanfall developers is continues to attract more players. 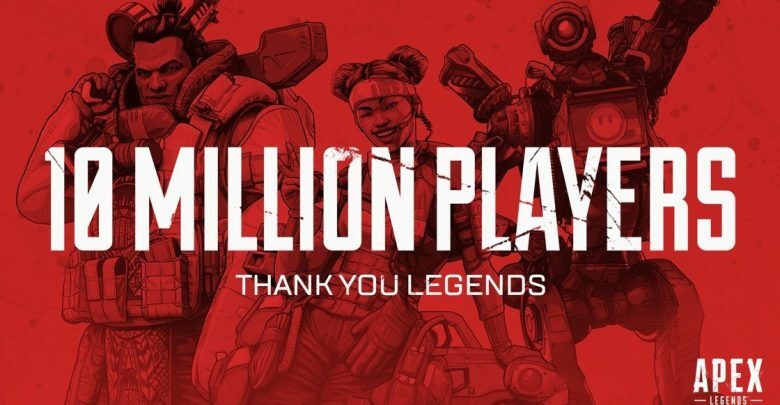 After surpassing 1 million players a mere 8 hours after release, Apex Legends’ playerbase only grew. Today, the class-based free-to-play battle royale clocked a total of 10 million unique players, Respawn’s Vince Zampella announced. Respawn’s approach with Apex Legends was an odd one, to say the least. The developers of the battle royale kept quiet up until a few days before its release. After hearing the news, many believed that another addition to the over-saturated battle royale genre would be doomed to fail. Furthermore, the supposed free-to-play model of the game also put off many players. However, those opinions quickly turned around as Apex Legends made history as one of the fastest growing free-to-play battle royale games ever. Zampella adds that they have “so much more in store” for us that will be revealed this year. New content in the form of cosmetics and game modes, such as ranked play, is expected to be unveiled soon. While Apex Legends is probably not what eager Titanfall fans were expecting, there’s no doubt that Respawn’s new game will be a massive success.